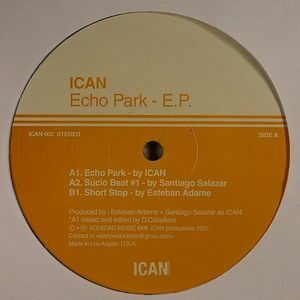 ICAN/SANTIAGO SALAZAR/ESTEBAN ADAME Echo Park EP vinyl at Juno Records. 1. 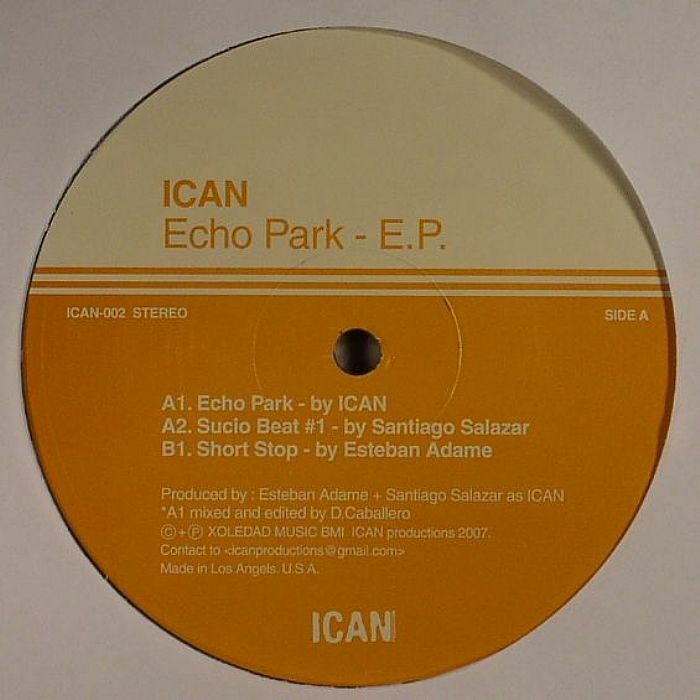 Echo Park - "Echo Park"
2. 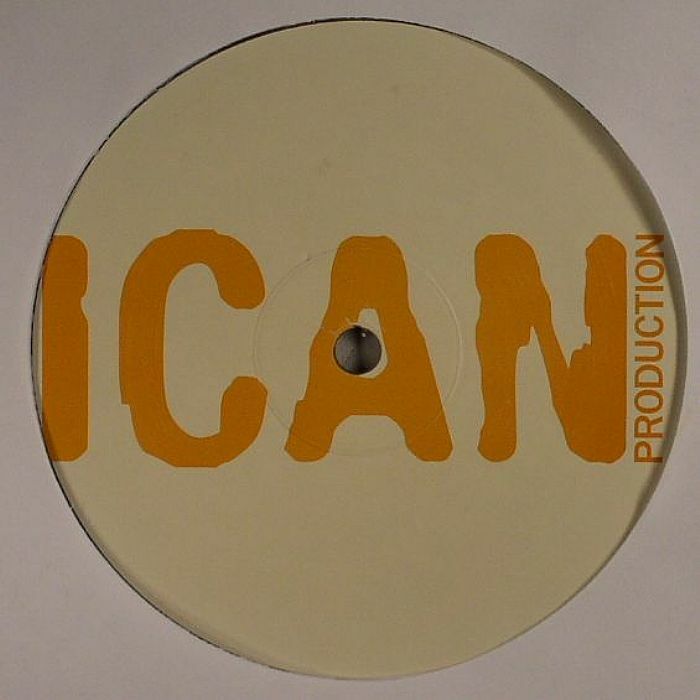 Santiago Salazar - "Sucio Beat #1"
1. Esteban Adame - "Short Stop"